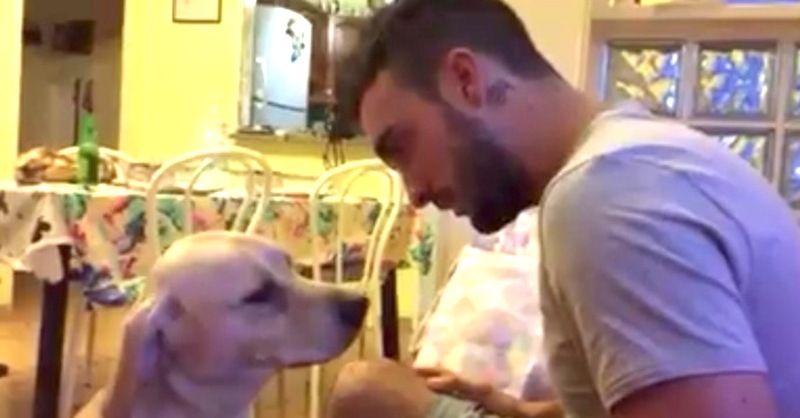 Whatever He Did, This Canine Friend Truly Deserves This Guy’s Forgiveness. I’m Bleeding For Him! So, how many people have you wronged and apologized to? How many people have torn your heart and apologized for their misdemeanors? Has ever occurred to you that a pet can actually apologize? Well, it’s now official. Pets can say “sorry.” Here’s a dog that appears to have really pissed off its owner, and now it’s time to make things right. The canine is so roughed up at heart that you can actually see and even feel his remorse gushing out of face. Ettore can’t even look up. He’s clearly begging for forgiveness. In fact, I bet I can see this animal and almost hear him admitting his mistakes. The moment is so charged that the dog has to very actively solicit the owner’s attention to iron out his wrongs. He tries for a hug and the owner shoves him, but he comes again and again. You’ll love this. By the time the video ends, all is well and Ettore’s world is all round and great again! You need to watch this, and you also need to SHARE it with your buddies. This is cool!